Hello. I don't know if you remember but I contacted you earlier in the year about finding cork suppliers. I thought I would send you an image of my cork stool that I made and let you know that it helped me get a 2:1 degree in the summer. Thank you for all your help and advise. Below is the beautiful stool that Allen created. I am honored to have a part in it, however so small. Madeleine commented on Joe's CIA Kids posting: "I'm Madeleine from the Netherlands. I'm 12 years old and in 3rd year > of our high school. I would like to know some things for a school presentation. I would appreciate it if you would help me." I am the bookofjoe staff member who has been assigned to your spy questions. How old should you be to become a spy? All those who work in the clandestine service hold a college degree. There is not really an age requirement - so much as a degree and training-level requirement (which generally puts someone entering in their early to mid-20s). After the age of 35, you cannot be placed in the clandestine service. But here are the minimum requirements, according to the CIA: "Minimum requirements include a bachelor's or master's degree and an excellent academic record (minimum 3.0 GPA), with a strong interest in international affairs, solid interpersonal skills and the ability to write and brief clearly and accurately. Foreign travel, foreign language proficiency, prior residency abroad, military experience and a background in Central Eurasian, East Asian and Middle Eastern languages and cultures are preferred. A Master's degree and/or other degrees of interest include international business, finance or relations, economics, physical science or nuclear, biological or chemical engineering. Maximum age for entrance into this program is 35. All applicants must successfully complete a thorough medical and psychological exam, a polygraph interview and an extensive background investigation. US citizenship is required for both applicant and spouse. To be considered suitable for Agency employment, applicants must generally not have used illegal drugs within the last twelve months. The issue of illegal drug use prior to twelve months ago is carefully evaluated during the medical and security processing." What other important jobs are there in the CIA? Scientists, technologists, engineers, writers, teachers, computer technicians, analysts, political experts, psychologists, doctors, nurses, telecommunications experts, many, many more. To see the main career paths, visit: http://www.cia.gov/employment/index.html . What should a spy definitely have? Foreign travel, foreign language proficiency, prior residency abroad, military experience are generally preferred. From the CIA..."It takes an adventurous spirit, a forceful personality, superior intellectual ability and mental toughness, as well as personal integrity, courage and love of our country. It takes special skills and professional discipline to produce results and to deal with fast-moving, ambiguous and unstructured situations that will test your resourcefulness to the utmost. " I hope this helps. Best wishes on the success of your school project. If we can be of further assistance, please let us know. Until then, we look forward to exploring our many new finds with you on bookofjoe.com. 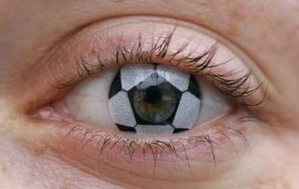 As soon as Joe wrote about the World Cup contact lenses, a flood of e-mails asking for purchasing information came in. This reply, to Mr. Gurrola looking for a pair for his daughter, was the first of many. I am the bookofjoe staff member who has been assigned to your soccer ball lenses question. I have found an Australian site that carries the lenses online. Most credit cards will handle conversions for you. I checked the site and they will ship to the U.S. (but it is pretty expensive - they wanted $48 for international shipping to my house). I could not find the lenses for sale on any American site. Best of wishes to your daughter on her mission trip. If you do get the lenses for her and she wears them to the World Cup in Munich, be sure and remind her to send us a picture. Allen commented on Joe's Fun with Cork entry: "Hello there. I am a student of contemporary furniture in London. I am interested in making a stool from cork and was wondering how much cork cost and who I could buy it from. Thank you for your time, any feedback would be gratefully appreciated. " Another good resource in the UK is the Cork Industry Federation, the trade group for cork suppliers in England. Their e-mail address is info@cork-products.co.uk - and they would most likely be able to supply you with more UK-specific information and may be able to assist you in finding smaller quantities if you are just building a prototype. Thank you so much for your interest in bookofjoe and best wishes on designing your cork stool. (Be sure to send us a picture once it's done!) If we can be of further assistance, please let us know. Until then, we look forward to exploring our many new finds with you on bookofjoe.com. Allen responded: "Hello there. Thanks for your help. The stool I am interested in making would be one of my three final designs that i would have to make for my degree show. The idea is to have the whole stool made from cork. I am looking to buy a block of cork that i will be able to turn on a lathe and sculpt the shape. Thanks again for your help. I replied: "Hi, Allen. I would start by calling the Cork Industry Federation in the UK. Assuming money is a consideration, it would probably be cheaper to find a supplier near you and they would most likely be able to help in that regard. If they cannot help, a few of the vendors I listed did sell blocks. If all of the information leads you nowhere, just let me know and I will continue looking on your behalf." A few weeks later, I received this e-mail from Allen: "Hello again. I dont know if you remember me, My name is Allen and I am on the search for some re-cycled cork to make a stool for my degree show. I have had no success so far and was wondering if you could help." Later, I received this e-mail from Allen: "Hello Shawn, just to let you no my cork stool will be appearing at New Designers in Islington this July. Thanks for all of your help." 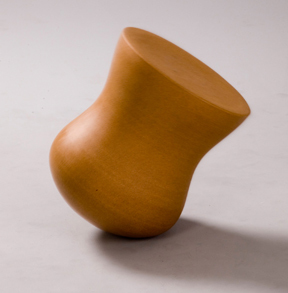 Awww, my crackpot research produced an actual designer stool. I'm so proud! Bobbi wrote in with this quetstion after reading Joe's Power Plate entry: "I am interested in the power plate. I have asthma. Does the Power Plate exacerbate or affect asthma positively or negatively in any way? I look forward to hearing from you." I am the bookofjoe staff member who has been assigned to your Power Plate question. I have not found any materials that talk of its effect (positively or negatively) on asthma, but I did find this note on one article: "Regardless of age, physical, medical or neurological condition." But I would ask first - especially as it claims to increase oxygen content in the body by 400% after use. (Here is a testimonial from one user with asthma in the UK.) You can e-mail your question in to the company at info@powerplateusa.com. Thank you so much for your interest in bookofjoe and best wishes in your Power Plate research. If we can be of further assistance, please let us know. Until then, we look forward to exploring our many new finds with you on www.bookofjoe.com. A bookofjoe reader wrote in after reading Joe's entry on the Gullah New Testament: "I need to order the De Nyew Testament. How can I do it from you?" Hi, I am the bookofjoe staff member who has been assigned to your Gullah New Testament question. We at bookofjoe do not print the Gullah Bible - we just wrote about it as an interesting development. It is available for purchase online for $9.99 here. It's also available at Amazon.com, if that's your shopping preference. For telephone orders, you may call 1-800-32-BIBLE (1-800-322-4253). To order in quantities of 10 or more, contact orders@gullahbible.com. Thank you so much for your interest in bookofjoe and best wishes in your Gullah Biblical pursuits. If we can be of further assistance, please let us know. Until then, we look forward to exploring our many new finds with you on www.bookofjoe.com. I was told that the wrappers with the indian shooting the star can be turned in for a free pop. Any truth to that? Hi, Ann. I am the bookofjoe staff member who has been assigned to your Tootsie Roll pop question. Unfortunately, the free Tootsie Roll pop you speak of is an urban legend. From soon after the introduction of Tootsie Pops in 1931 to the present day (currently generating about 150 letters a week), a rumor has circulated that a wrapper containing the Indian shooting a star icon could be traded-in for a bag of Tootsie Pops. However, according to Snopes.com, individual merchants have chosen to honor the wrapper legend over the years. "Thank you for your interest in our Tootsie Pop wrappers. We are pleased to have an opportunity to tell the true story about our Tootsie Pop wrappers. 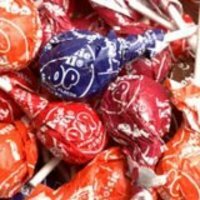 Many years ago, a rumor surfaced that said if the wrapper of a Tootsie Pop with a star was found and returned to the company, a free Tootsie Pop, or any number of things would be sent to the lucky person. We truly don't know why or where this rumor started, as our records do not indicate that our company ever sponsored any type of promotion surrounding images on the wrapper. We hope we have been able to clarify this matter for you and we thank you for contacting us. Given that the frequency of such a wrapper is high enough that the free bag of Tootsie Pops would itself contain several more such wrappers, it would not be economical for the company to have such a policy." In what collection is this poem Invention of nostaglia collected? Mr. Conway - I am the bookofjoe staff member who has been assigned to your poetry question. As far as I can tell, "The Invention of Nostalgia" was first published in a New York Times Writing in the New Year special section on Dec. 31, 2003. I am not sure if it was subsequently published in a book of poetry also, since many of these sites do not list the individual poems in the books. In my research, I did find it strange though that many online book sellers, who always plainly list every song on a music CD, don't list individual poems in a collection. Surely people buy a book of poems all the time for that one or two poems that they love dearly (similar to how we were forced in the past to buy a CD for that one song we loved, though we didn't give a flying flip about the rest of them on the disc). It makes me wonder if poets will sell single poems in the future - one for $3.98. Or maybe we would select the poems we love and create our own personalized anthology, to be printed and delivered to our doorstep. I did also write Mr. Raab on your behalf to make sure that what I am telling you is true. If he responds that it is collected in a book of poetry, I will let you know. I hope this helps. Thank you so much for your interest in bookofjoe and best wishes in your pursuit of poetry. If we can be of further assistance, please let us know. Until then, we look forward to exploring our many new finds with you on bookofjoe.com. I am an answerer of questions for www.bookofjoe.com. An interesting question about your poetry came to me recently - a reader wanted to know in what book of poetry was "The Invention of Nostalgia" published, after reading the poem on Joe's blog. As far as I can tell, it is not collected in a book but was written for a Writing in the New Year section in The New York Times on Dec. 31, 2003. But I digress. My reason for writing is to make sure that "The Invention of Nostalgia" is not collected in a book, as I told our reader. If it is, please let me know so I can let Charley know which of your collections to purchase. You are right. The poem appeared in the TIMES, but has not--yet--been collected in a book. It will be in my next one, but that's not complete yet. I'm fascinated about how these pens and tips are manufactured to such stringent tolerances - are there any details (preferably step by step} available of the manufacturing process? appreciate a link. Hi, Nari. I am the bookofjoe staff member who has been assigned to your pen question. 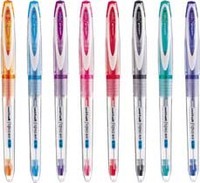 The tips of the Uni Ball Signo Bit 0.18mm series of ballpoint pens are roughly the width of two human hairs and can be used to write on a grain of uncooked rice. In order for the ball to rotate, Mitsubishi developed proprietary ink that reduces friction. Besides that, I can't find more information online. I would guess that because the ink is the clincher and it is proprietary, they won't tell anyone much else. Their UK e-mail address is info@mpuni.co.uk if you want to try to get more information. If that doesn't help, their Japanese site also has a contact page: http://www.uniball-na.com/main.taf?erube_fh=uniball&uniball.submit.email=true. I hope this helps. Thank you so much for your interest in bookofjoe and best wishes in your search for more information on the pen. If we can be of further assistance, please let us know. Until then, we look forward to exploring our many new finds with you on bookofjoe.com. This is the only place that I could find a soy/cotton blend. They do not have an e-mail address listed, but this is their contact page. Thanks so much for all of this great info. One more question. Most of these sites offered soy yarns. Is there a way to run a search to get actual fabric? I do not have the facilities to knit and weave my own fabric from the yarns. Back to work, it seems. Hi, Raina. See if this will work. If not, just let me know and I'll keep searching. (They sell soy, hemp and many other natural fabrics.) Thanks, Shawn.